A passer-by discovered the body of a man in Portland’s West End about 7:30 a.m. Tuesday, but his death is not considered suspicious, according to police. Portland police Lt. Robert Martin said in a statement Tuesday night that the deceased man was 28 years old. Martin said police know his identity but are not going to release his name because foul play was not involved. “His death is not suspicious and it appears he had a medical issue,” Martin said. At the time the man’s body was found, he had no identification and may have been a jogger, Martin said. He was wearing shorts, a T-shirt and sneakers. The state Medical Examiner’s Office will help determine the cause of death, but a full autopsy is not anticipated, Martin said. Portland police Sgt. Charles Libby said that drug use did not appear to be a factor, and there was no obvious trauma. 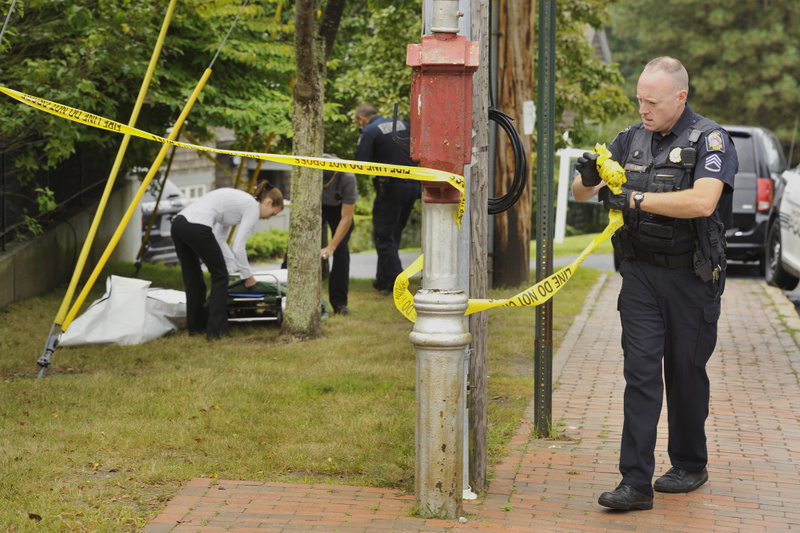 The body was found under a small tree between the sidewalk and a fence of a home at the intersection of Vaughan and Danforth streets facing the Western Promenade and Portland Harbor. Two workers from a funeral home collected the body around 10 a.m.